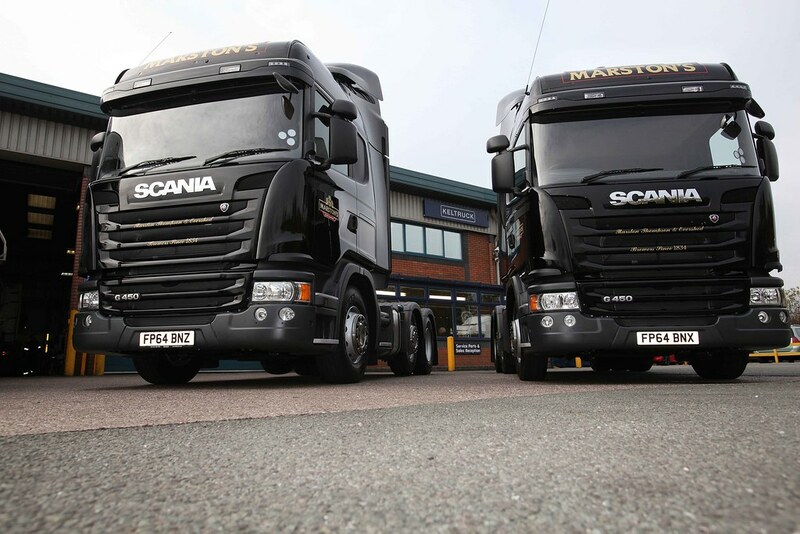 Marston’s plc of Shobnall Road, Burton–on–Trent (Head office: Wolverhampton, West Midlands) have taken delivery of their 5 new Scania vehicles. 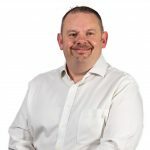 The deal was made between Alan Hill, Account manager of Keltruck and Graham Benford, Trunking Maintenance Manager and David Nijs, Trunking & Contracts Manager of Marston’s PLC. The vehicles taken were 5 new G405LA6X2MNAH vehicles and were bought to replace 2 Scania and 3 Volvo vehicles in the fleet. The new vehicles will be used to transport goods around their depots, Supermarkets and other Brewers. The deal was enhanced with a five year ‘Support Programmes’ package on the vehicles which means they will have full repair and maintenance all managed from the Keltruck Ltd Burton branch located just a few miles away and backed up by over 94 nationwide service points which are never more than phone call away should the driver require assistance giving full peace of mind. Established in 1834 when John Marston founded the company, Marston’s PLC still brew their Pedigree Beer in Oak wooden casks known as “The Burton Union System”. Their brewery is often referred to as the Cathedral of Brewing because of their brewing procedure.